Going on an ocean cruise is quite possibly one of the most exciting trips a person will experience in their life, and the quality of the cruise has a lot to do with it. In this comparison article, we take a look at two of the most popular cruises– Royal Caribbean and Celebrity Cruise–in the hopes of making it easier for you to make a decision the next time you want to hit the high seas. 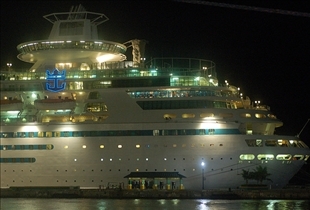 Royal Caribbean is a line of cruise ships based in Florida. It is under the ownership of Royal Caribbean Cruises Ltd., which is a Norwegian-American company. The company currently has 42 ships pressed into service, which are grouped into 5 different brands, with a sixth brand currently under construction. At present, Royal Caribbean controls nearly 25% of the world cruise market. Celebrity Cruise is a cruise line established in 1988 by the Chandris Group of Greece. The company is actually under the ownership of Royal Caribbean Cruises Ltd., following a 1997 merger between Celebrity Cruises Ltd. and Royal Caribbean International. The parent company now runs Celebrity, Royal Caribbean International, and Azamara Club Cruises among others. Each ship in the Royal Caribbean line features a lounge at the top deck called the Viking Crown Lounge. Here, passengers can enjoy great views and rock climbing, and there are bars and restaurants as well. There are also various other ways to get fit and to relax, such as the lounge, spa, and gym. Celebrity Cruise for its part features luxurious dining rooms, foyers, and elegant staterooms in addition to balconies, huge pools and bars. For those seeking more sedentary pursuits, there ships also feature libraries, spas and relaxation areas. Royal Caribbean is comprised of a number of different variations on the cruise ship theme, such as the Oasis class and the Freedom class. The Oasis of the Seas is the first of its kind anywhere, and it has recently taken over the role of world's largest passenger ship from the Freedom-class beginning in November 2009. The Freedom class isn't something to sneeze at either, with a gross tonnage of nearly 155,000 tons. In fact, the Oasis class took over its role as the largest passenger ship in the world, the Freedom class beat out the Cunard's Queen Mary 2 for the same title. 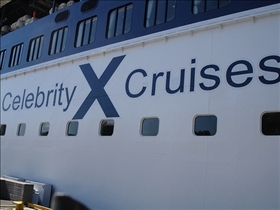 Celebrity Cruise is equally accomplished on this front, with the "Celebrity" prefix being added to the ships’ names in 2007 to 2008. A line of cruise ships based in Florida under the ownership of Royal Caribbean Cruises Ltd. Which cruise line has better onboard activities? Zipcar vs. Connect By Hertz: Borrow the Car Whenever You Want? Bed and Breakfast vs. Hotel: How Cozy is the Cottage?